We got some questions concerning the setup of FTP connections with the free Editor TextWrangler (provided by Bare Bones) referring to a certain directory. How this can been done is not very obvious, because the according dialogue lacks of the possibility setting up a path. 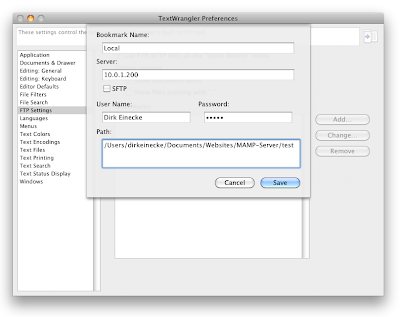 But there is a solution: Open TextWrangler and go to File -> Preferences. 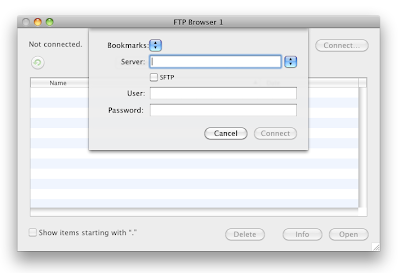 You will find "FTP Settings". Enter your connection data including the desired path and you are done.